At the end of the year, I always like to do a review of what happened in 2018 and what we predict is going to happen in 2019. There are three things we need to look for 2019 and one of them is technology. It’s really becoming a major player here in 2018 and will be even more so in 2019. Lastly, we’re going to talk about boy bands. Wait…what do boy bands have to do with restaurants? Watch to find out. The restaurant industry grew at 4%, which is basically what everyone was predicting for 2018. Growth will continue at about that same pace; however, that’s a slowdown from the 6.4% per year historical growth that the industry started measuring the in the 70’s. 4% is still growth, but it’s a slowdown. They’re expecting about the same 4% growth for 2019. It’s good that it’s growing but it’s bad that it’s growing at a slower rate than it has historically. There’s another challenge coming up and that is the shrinking budgets of consumers. Historically in the U.S. consumers, or your average ordinary everyday person, spends about 12% to 13% of their monthly budget or monthly expenses on food and dining. The challenge is that’s down quite a bit over the last couple years. We’re spending less on food and dining as a whole than we have in the past. If we combine a slower growing restaurant industry with a smaller piece of the pie/consumer base, we’re definitely going to experience maybe a flat or a slight slowdown next year. Even though it’s going to technically register as growth, to you it will possibly feel like a slowdown so that’s something to be aware of. The first area of growth is in Fast Casual. 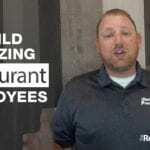 Think of fast casual as a really, really quick sit-down restaurant with counter service. The customer orders at the counter and takes their food to their table or gets it to themself. Fast casual kind of falls into that realm, it’s a combination of quick service and casual dining. Where I really see fast casual growing is where you order at the counter, sit-down and then service takes over from there. There’s a couple of restaurants like this here in Austin that are absolutely crushing it and there’s a few others that I know of around the country. 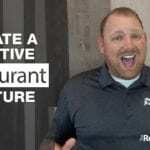 The fast casual style of service is going to grow at a faster pace that standard restaurant. They’re predicting another year of 7% plus growth in that area. That being said, Off Premise growth is where it’s at! Off-premise catering and delivery grew at 37% last year and they’re expecting it to grow even more than that in 2019. Some people are saying maybe as high as 40% growth. The Uber Eats and Grub Hubs are helping push this industry and are becoming a major player in the industry so you’ve got to be taking advantage of that. 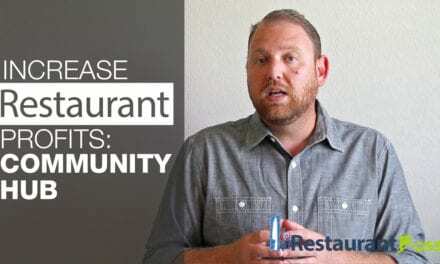 If you look back at some of my state of the restaurant industry addresses three, four, or even five years ago, I wasn’t a huge fan of technology and restaurants. I didn’t like kiosks, self-service ordering, online ordering, or delivery services. But guess what – the technology is getting better, users are getting better at using technology, and technology is here to stay so you better be embracing it. If you don’t have awesome online ordering, any type of self-service kiosk, or even tablet – you better look into it. I have a few clients who’ve recently switched over from paper menus to digital menus and it’s been fantastic for them. 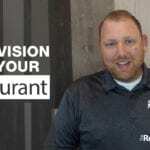 Technology in general is going to play an even bigger part in the restaurant industry in 2019! The technologies you need to pay attention to are ordering kiosks, online ordering, and outsourced delivery. Yes, boy bands! But what do boy bands have to do with the restaurant industry? If you followed my year end addresses in the past you probably already know what I’m talking about. When I say boy bands, what I mean by that is private equity investors are shaping the restaurant industry. Private equity investors are coming in with so many dollars because of their businesses. These are not just restaurant people opening restaurants, but finance/business people or East/West Coast investors who are investing in restaurants. They’re finding brands that are doing well but need money and expertise to grow and then they’re hiring the best chefs, marketers, interior and exterior designers, architects, lighting people, music people. The private equity investors are building these super restaurants or boy bands as I like to call them. Because that’s exactly what a boy band is, it’s basically a producer in an office who knows music and has a lot of money. He goes out and finds five or six kids that are all good at one thing. Puts them into a band and then hires the best choreographer, stage designer, writers and musicians. Those boys are just the front to a machine that’s running behind the scenes. 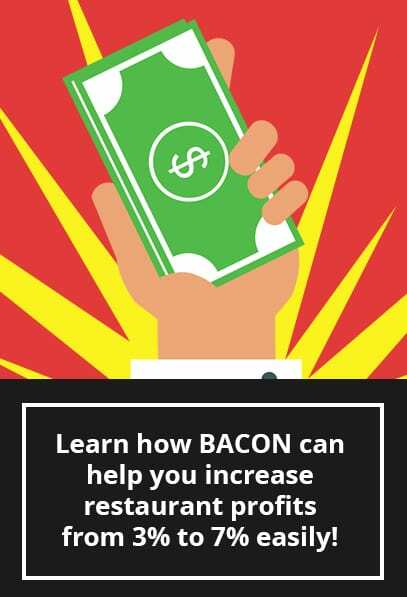 Your competition will be these corporate restaurants which are getting better and better, and are in the same price points as you. You have to be aware of that and step up your game. This means having a smaller menu, a very specific market, and a very specific food product. Maybe it’s a cultural type of food or a specific type of food that varies. 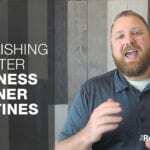 I have a video blog that talks about either having a wide menu or a deep menu, but you can’t have both. This is what I mean by a tight concept with a clear message/marketing. Who exactly is your customer? And if you say everybody – go back to the drawing board. Wide concepts are going to struggle in 2019. The concepts that have huge menus that offer everything to everybody and try to appeal to all generations (Millennials, Gen X’s, etc.) are going to struggle big time – maybe even more than you are already. You might be thinking to yourself this is obvious…quality of food and service should be great. I’m being really serious here. Your food has to be EPIC. This is the first question I ask when I get on the phone with a new client is, “Why is your restaurant struggling?” They reply with all sorts of reasons but then I ask, “Is your food EPIC?” I get unsure replies that they’re good. This isn’t good enough, it has to be epic. We went so far as a client of mine actually opened up a taco restaurant called Epic Tacos. They deliver epic, which is their goal. Everything they do is epic when you take a bite of their taco the reaction they want is epic. I have to tell you they’re doing it and they just got investment money because of this from one of these boyband investors (corporate private equity group) we talked about above. When I talk about service, I don’t mean white-glove service. And trust me Millennials and Gen Z’ers know service and we want service. We don’t need white gloves and formality, but we need you to be friendly, polite, professional and need you to know what you’re doing. 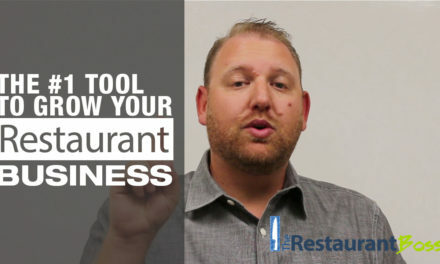 A lot of restaurants struggle with this and I have tons of tips on service, systems, operations, and hiring. Your food has to be epic and your service has to be on it. We’re going to face an economic downturn. I’m not an economist or a professional investor but we have been on fire in this economy for the last 10 years or so.Historically in the United States and worldwide we usually only grow for about 7-9 years before we see a slowdown. We’re coming into our 10th or 11th year of growth ever since the 2008 crash. We started recovering in 2009, so it’s time to see a slowdown. I don’t know when or how big that slowdown is, but we are going to see one. When we see a slowdown the best will do better and some are not going to survive. Why are the best going to do better? 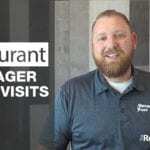 Because when those other restaurants that are just barely getting by right now are gone, and they will be gone unfortunately, the best are going to pick up a little bit of your business. Let’s say there are five Mexican restaurants in a community and that 1 is good, 1 is epic and 3 are just okay. 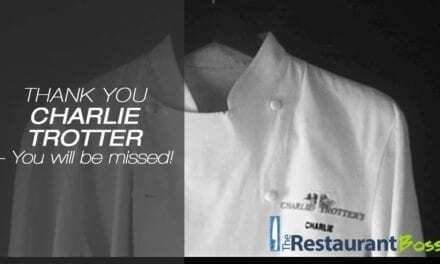 If the three okay restaurants closed down, the good one will pick up a little bit of business, but the epic one is going to pick up a lot of business. Think about for a second, if only a few of the diners from the three restaurants that closed end up at one of those two restaurants that remained open, those two restaurants are going to do better. Even in a downturn the best will not lose. So always strive for the best. Now is the time to GET TO IT. Stop setting goals and not following through on them. Stop saying you’re going to do it tomorrow. Stop saying it’s my staff’s fault, etc. Things are going to change so get on it! I apologize for the long post and it may have sounded a little grim. To be honest I see 2018 as a little bit grim for some. But for those that are crushing it and know the rules for success and for those that are working with coaches and mentors, you guys are going to do awesome in the future. 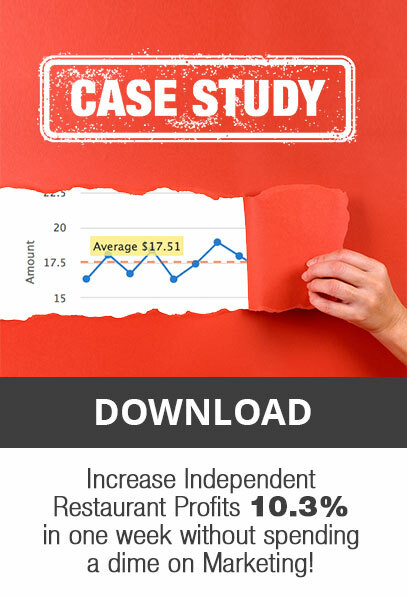 Leverage the technology, study the statistics and know what’s going on with your competitors. Know what’s happening in the economy and everything around you in 2019 and it’s going to be a fantastic year for you. Set some goals but more importantly follow through on your actions. Pursue those goals and don’t stop until you’ve completed them. Welcome to 2019 folks, it’s just around the corner. 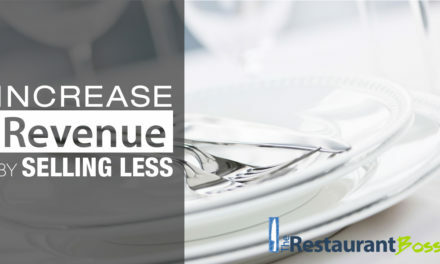 Increase restaurant profits and sales, by selling LESS?